Comments: Flowers almost continuously in mild climates where it is evergreen. Hummingbrids and butterflies feed on its nectar. 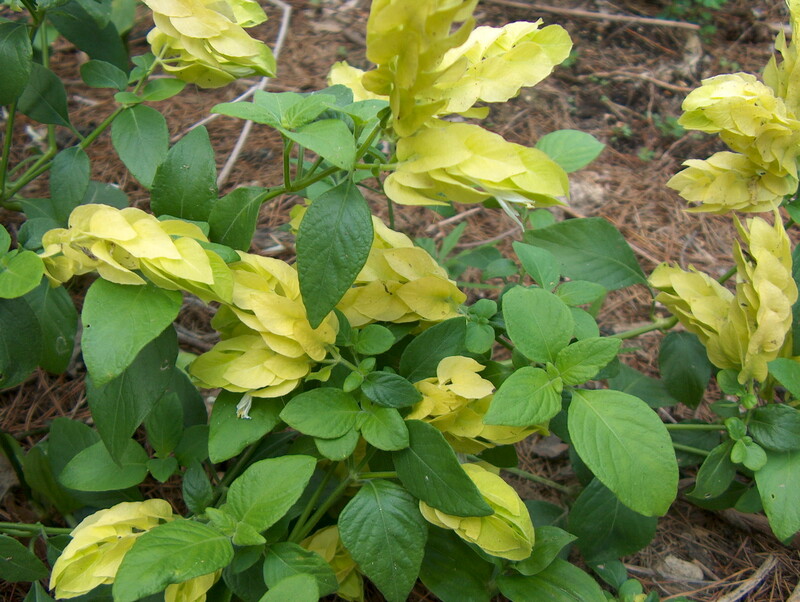 There are cultivars with yellow, red and lime green bracts. Use in perennial beds and borders.